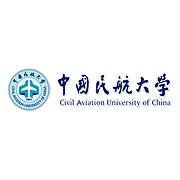 Jeppesen has entered into an agreement with the Civil Aviation University of China (CAUC) to develop and deliver standardized ab initio pilot training courses that are approved by the Civil Aviation Administration of China (CAAC). Jeppesen has entered into an agreement with the Civil Aviation University of China (CAUC) to develop and deliver standardized ab initio pilot training courses that are approved by the Civil Aviation Administration of China (CAAC). China continues to experience high demand for qualified airline pilots, with about 2,000 Chinese students per year being trained in ab initio programs outside of China. Officials at the CAUC and CAAC are working with Jeppesen to shift civil aviation pilot training to in-country providers, under a standardized, approved curriculum. The pilot training courses that Jeppesen will provide to CAUC are based on Jeppesen’s standard course materials and syllabi and will be jointly modified as necessary to receive CAAC approval. The theory courses will include flight foundation courses, private pilot, commercial pilot, multi engine, instrument rating, certified flight instructor/certified flight instrument instructor, and frozen airline transport pilot license. Additional courseware provided by Jeppesen will be ICAO Level 4 English training and testing courses. Jeppesen will also work with CAUC to provide ground instructors, instructor support material, train the trainer courses and help source flight instructors.